This isn't 1914, and the Russian ambassador to Turkey isn't Franz Ferdinand. A security officer patrols near where Andrei Karlov, the Russian ambassador to Turkey, was shot inside an art gallery on Monday. The parallels are tempting—an assassination in a foreign capital at a time of high geopolitical tension and entangling alliances—and undoubtedly the murder of Andrei Karlov is a dangerous development. But it’s not a very helpful analogy. As I wrote last year after talk of an impending World War III spiked following Turkey shooting down a Russian fighter jet, the situation in Syria and Iraq—in its scale, complexity, and brutality—already resembles a “world war” in many respects. What people are wondering when they talk about “1914” or “World War III” is whether we’ll see direct, rather than proxy war, between Turkey and Russia and potentially others—a return to deadly wars between national armies, which have been rare since the middle of the 20th century. That seems unlikely and especially unlikely to be sparked by this incident. As I wrote earlier Monday, Russia-Turkey relations have actually been improving of late, particularly since a failed coup attempt against Turkish President Recep Tayyip Erdogan last summer. 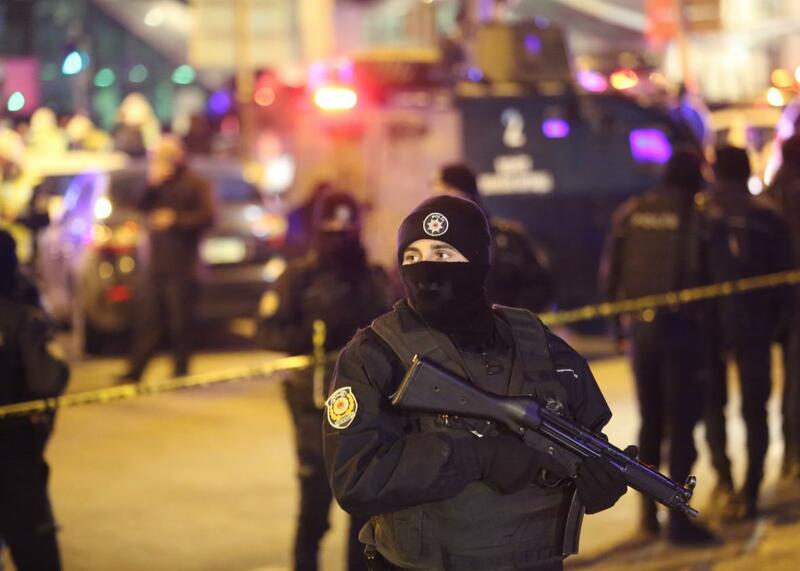 What appears to be an attack by an extremist against a Russian diplomat on Turkish soil will provide a pretext for closer cooperation rather than conflict. The fact that the assassin appears to have been a Turkish security officer will get conspiracy theorists’ juices running, but early indications are that the Russian state media is framing this as an attempt by terrorists to scuttle Russian-Turkish relations, rather than evidence of Turkish treachery. This is bad news for what’s left of the anti-Assad rebellion, as well as civilians living in rebel-controlled areas in Syria: Video footage of a terrorist shouting “Don’t forget Aleppo” after shooting a man in cold blood is not going to bolster international sympathy for their plight. It may also be used as pretext for escalating Erdogan’s sweeping crackdown on domestic political opponents and independent media in Turkey. And it’s still an alarming event in the midst of a very dangerous situation. But it shouldn’t escalate to the level of international catastrophe. Let’s hope that the world leaders involved—and all world leaders in waiting—can keep their cool.